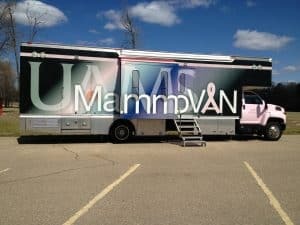 Sept. 20, 2016 | LITTLE ROCK — The MammoVan, a mobile mammography unit operated by the University of Arkansas for Medical Sciences (UAMS), will be at the Arkansas State Fair in Little Rock from 11 a.m.-4 p.m. Oct. 14-15 to offer mammograms for area women. Appointments are requested in advance by calling (800) 259-8794. Walk-ins are welcome, but may require a short wait. The MammoVan’s services at the fair are offered in conjunction with the Arkansas Cancer Coalition. 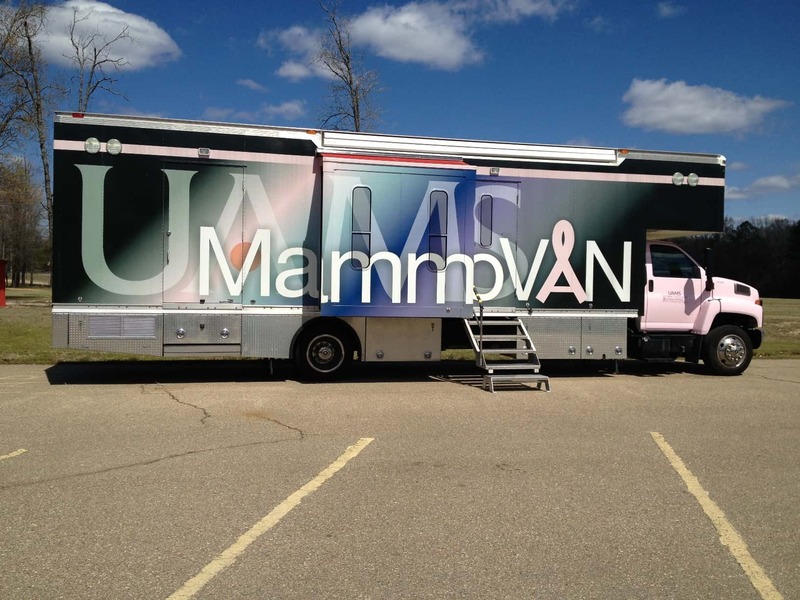 The MammoVan regularly travels across Arkansas to provide digital screening mammograms and breast care education. The three-room mobile unit is outfitted with the most advanced digital mammography equipment and is staffed by a certified mammography technologist and a technical assistant. Patients receive their test results within one to two weeks. Results also are sent to each patient’s primary care physician. If the mammogram shows a potential abnormality, the patient is referred for follow-up to the appropriate services. The American Cancer Society estimates that 2,090 Arkansas women were diagnosed with breast cancer in 2015 and 410 women died from the disease.